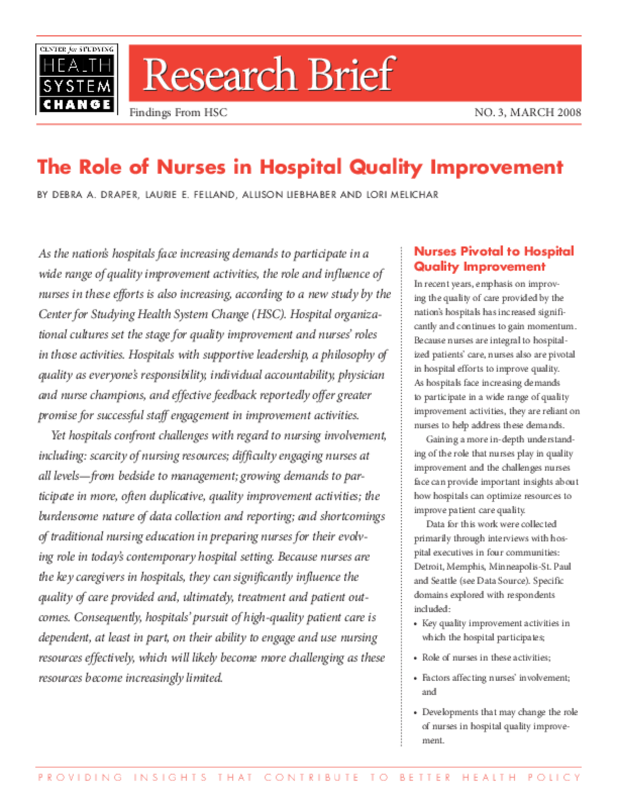 Presents findings from interviews with hospital executives on the role nurses play in efforts to improve the quality of hospital care, factors affecting their involvement, and the challenges they face. Describes common quality improvement programs. Copyright 2008 Center for Studying Health System Change.